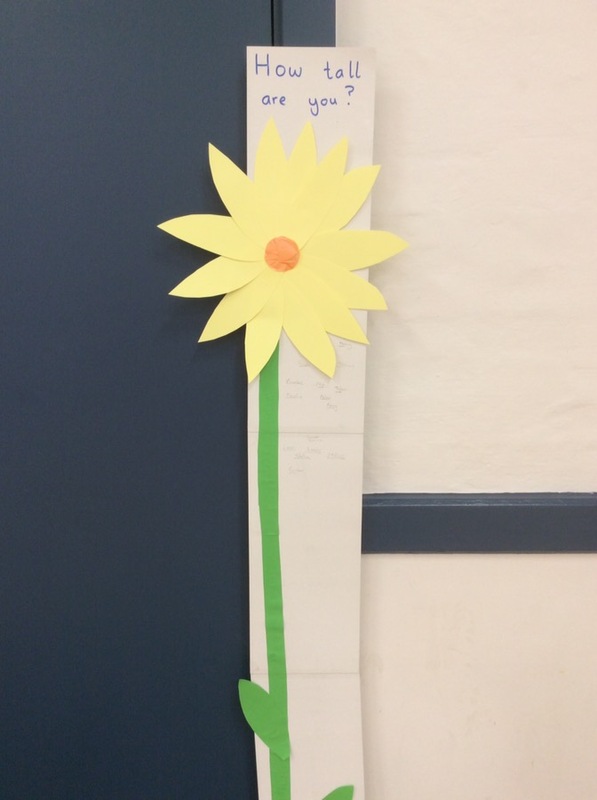 Today Issy made our new sunflower height chart. All the children will have a chance to put their height up, and at the end of Summer term we will see how much they have grown. At circle time we arranged ourselves in height order. When arranging ourselves we were using the words ‘smaller’ and ‘taller’ to describe height. We have also been dressing Issy’s toy giraffe. 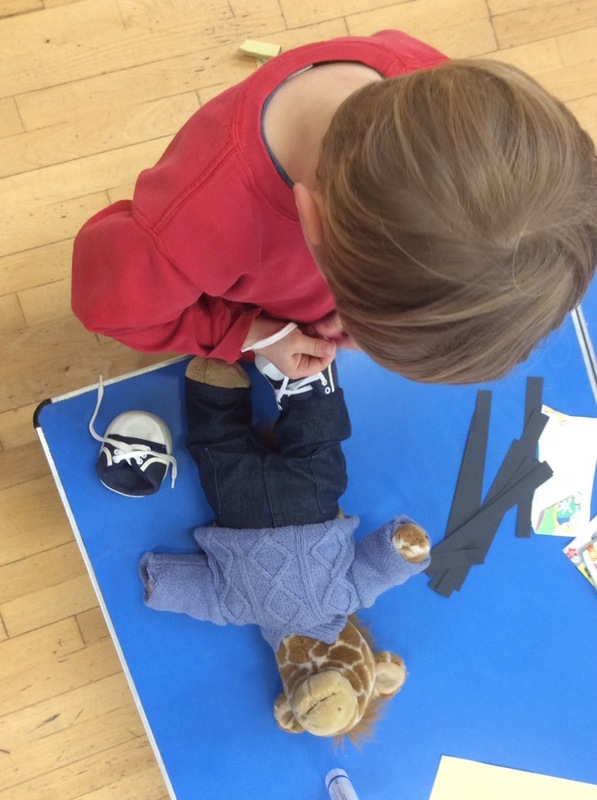 The children have been dressing him up in different outfits practising using zips and shoelaces. 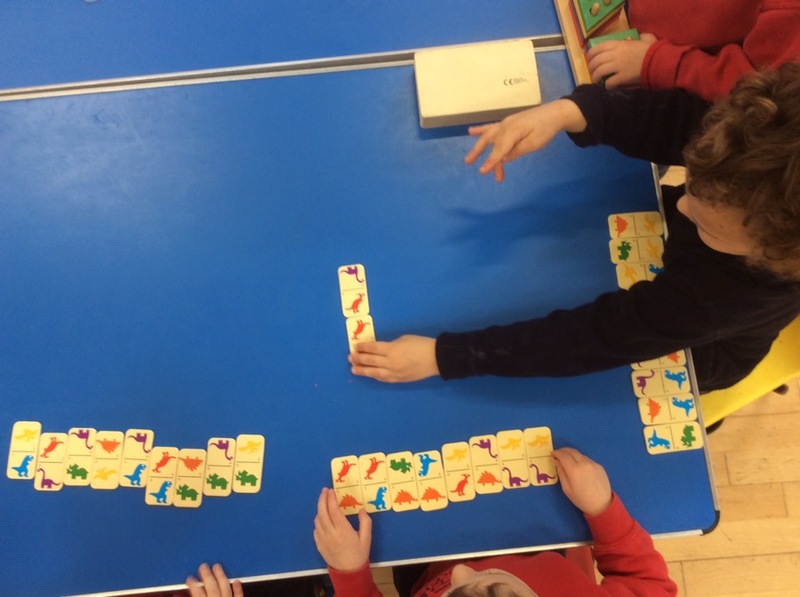 The children have been really enjoying some of our board games at the moment, one of their favourite games in dinosaur dominoes. 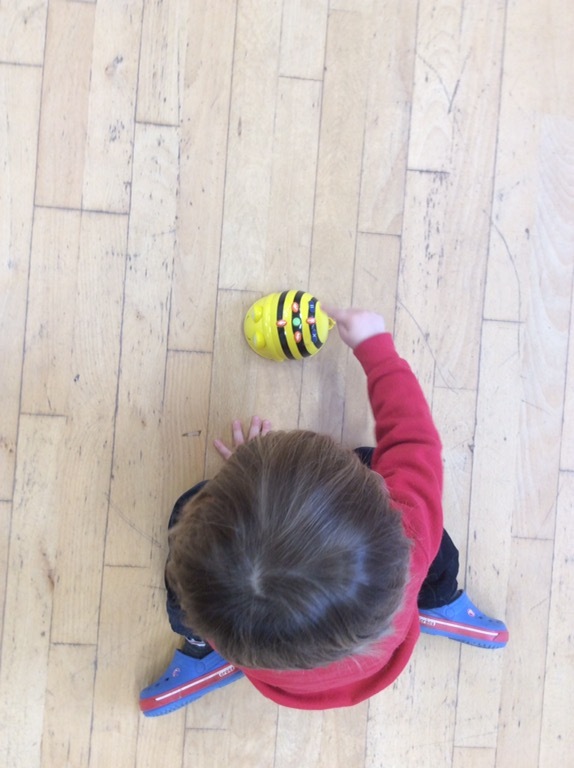 Today we used the Beebot. The Beebot is an exciting robot the children can program using directional buttons on the top. It’s great for encouraging use of directional language, sequencing and learning about estimation. 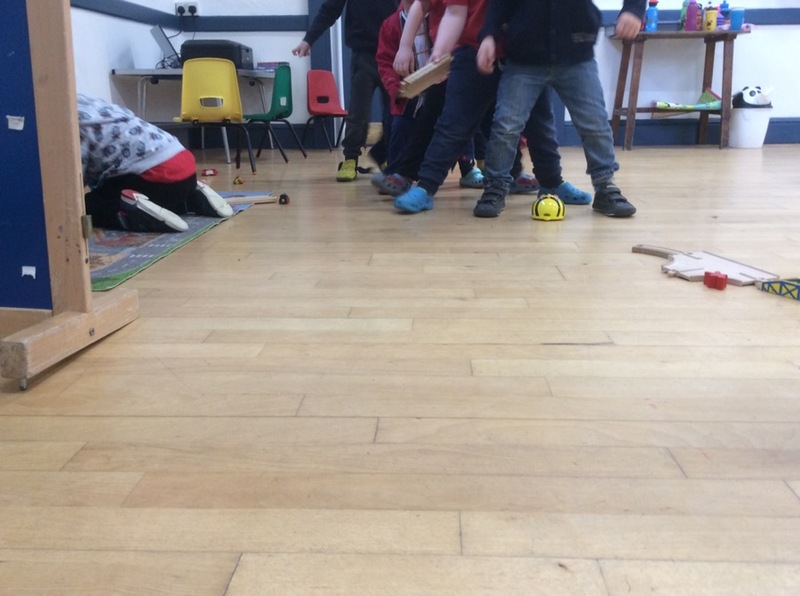 Some of children used it to estimate the width of the hall. They correctly estimated the amount of movements across the hall, and were very excited about their accomplishment. 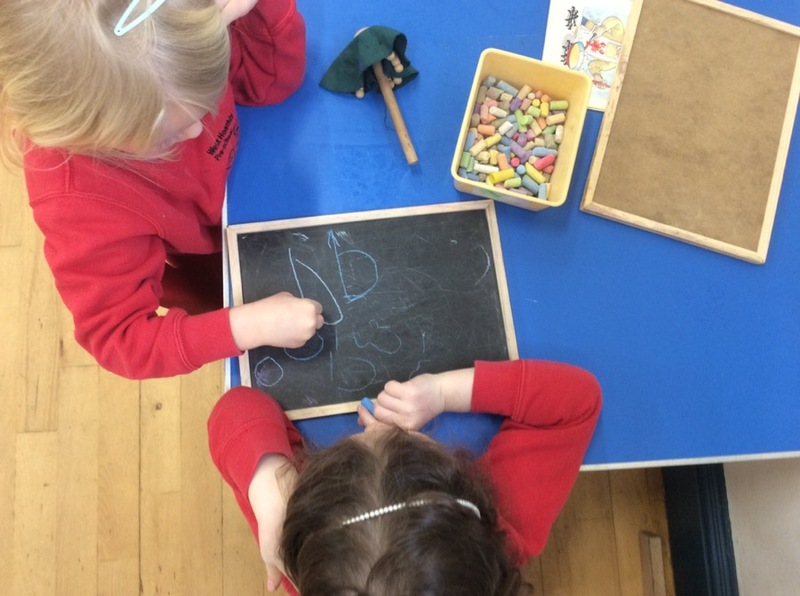 Some of the children were in the literacy area using chalks to form letters. 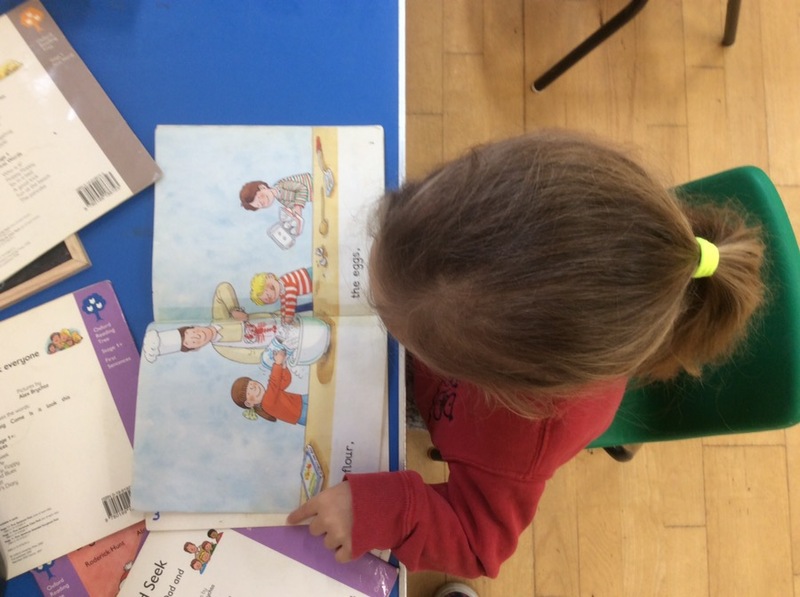 There are always Biff and Chip books to look through in this area. Some of the children made up their own narratives looking at the pictures for reference.